Continental Carbon Group (CCG) is a turn-key solutions provider for all your water and wastewater needs within the municipal, industrial, commercial and construction industry. We have the technology, resources and expertise in design, manufacture and implementation of innovative water and wastewater solutions treatment solutions. CCG has experience in removing both dissolved and visible contaminates from water using custom designed tanks and filtration medias. 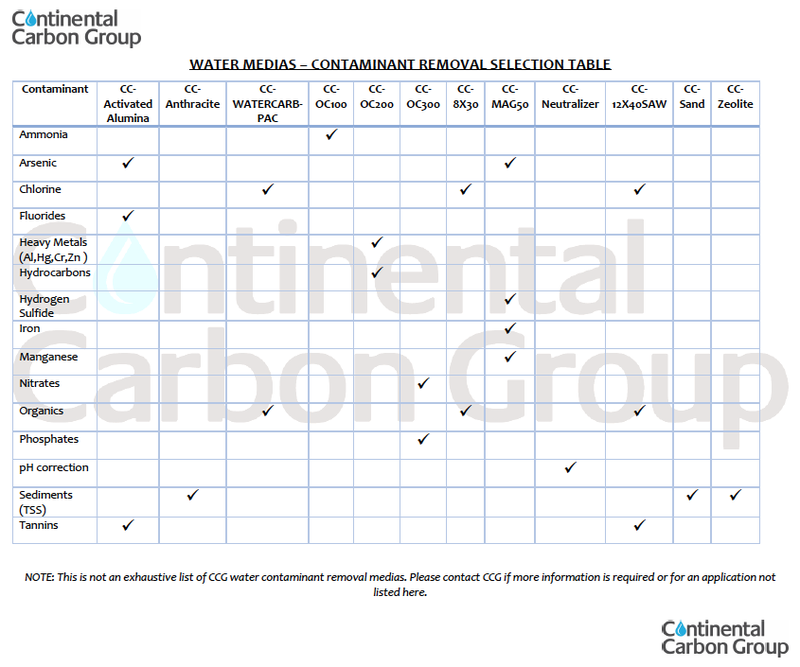 Below is a list of filtration medias which can be used for removal of various contaminants. This is not an exhaustive list of CCG water contaminant removal medias. Please contact CCG if more information is required or for an application not listed here.